The weather outside was frightful. Yes, we had snow for our White Christmas, but there was also a thick layer of ice under the snow from the rain that came before, and then there were frigid single-digit temperatures that came after the snow. So for a little Christmas fun, Ed and I took the girls to a waterpark for Christmas. Despite those remarkably realistic fluffy clouds you see in the picture below, this waterpark was inside where was nice and warm. 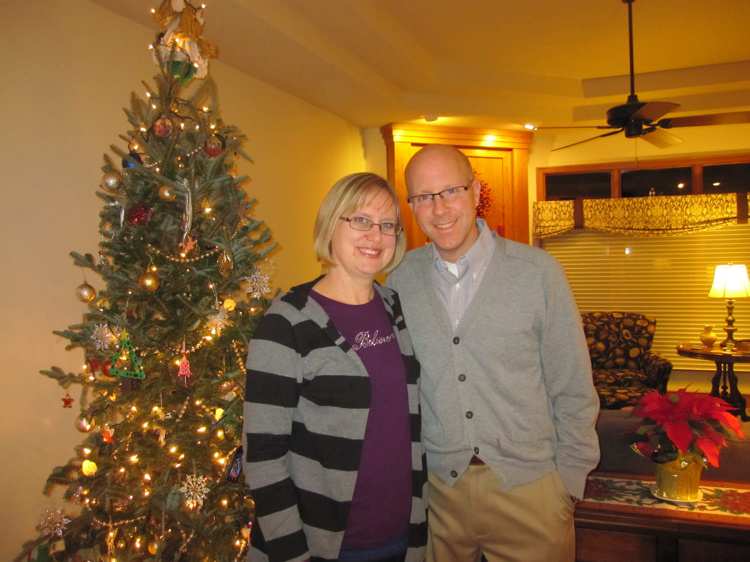 A very Merry Christmas and a Happy New Year from the Lemon Drop Pie family to yours! Link up your Holiday Spin below or over at Second Blooming! Your blog post will be linked on both our blogs! We have a water park hotel near here…. I am going to have to look into taking the kids sometime. I’m betting my adventurous daughter would love it! You have taken Merry Christmas to a new kind of merry! Looks like great fun! I bet that must have been for a fun time for your kids. I could use a little sunshine and warmth myself right about now! Angelina Costenaro recently posted…The Most Wonderful Day of the Year! We did have a lot of fun! It was nice to do something special for our winter break. Merry Christmas, Jennifer! It was like a sauna by the pool! It was fun to pretend that it wasn’t winter outside! It looks like a fantastic waterpark. Can’t remember the last time I went to one. Unless you count the outdoors here! Rain from all sides and an occasional gust of wind that will try to push you into a large pool (ie the sea). Great fun! That rain does sound like a waterpark, but somehow it still doesn’t sound fun! I hope you are staying dry! How cool! 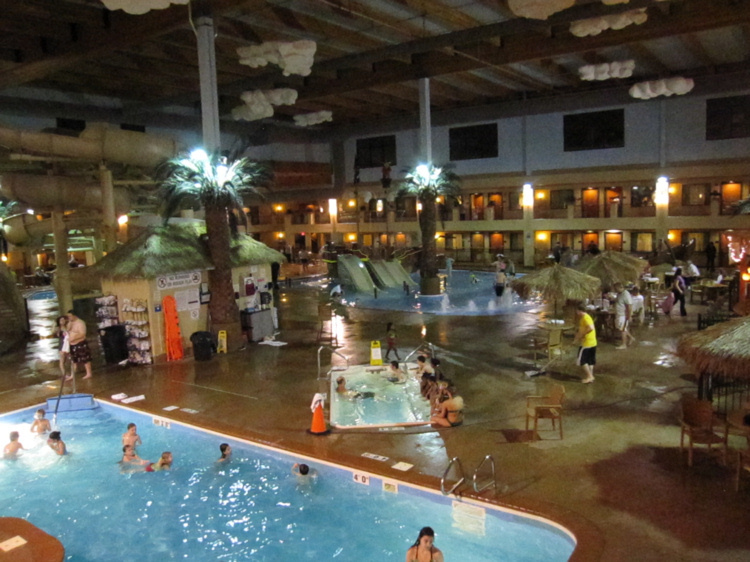 We’re only a couple hours from the Wisconsin Dells, where indoor water parks abound, but we’re waiting until the kid is just a bit older to take him. This makes me want to take him sooner though! 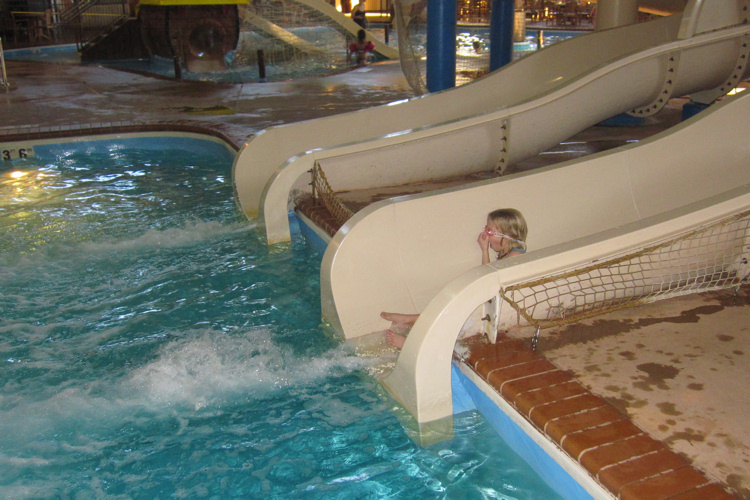 The waterparks in the Dells are amazing! We went there once, but my youngest was a little overwhelmed by it all and was scared of the buckets that dumped over when they were full. It’s a good idea to wait until your little one is bigger! That looks so fun! Sounds like a great idea to release some energy. 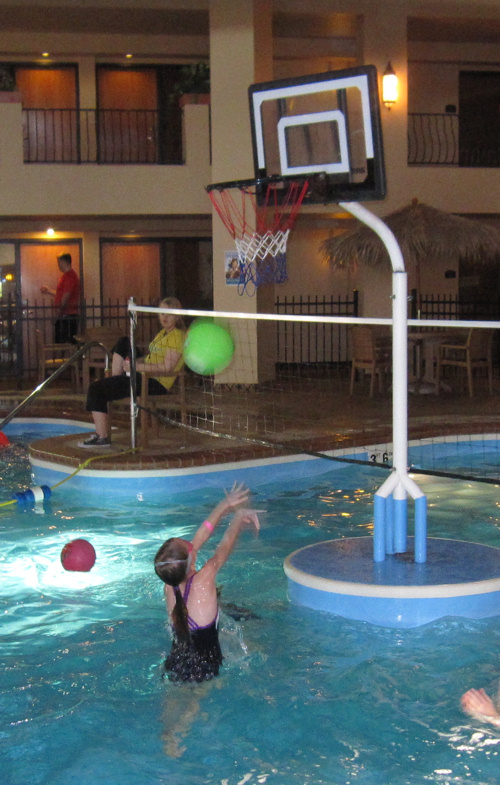 What a great idea….looks like fun! Happy New Year, praying your year will be fabulous. debby9972 recently posted…IT’S A WRAP….. Thank you, Debby! I hope you have a blessed New Year as well! We had a blast! Plus, there was a poolside bar. 🙂 My husband and I splurged and had margaritas! Where is this place? Jude would love, love, love it! Merry Christmas Ginny! It is a Ramada in Des Moines, Iowa. It’s not very big, but perfect for a winter’s day! That looks like such fun! Is that a hotel right in there too? It looks like room doors which would be crazy to go outside your hotel room into a water park! tamaralikecamera recently posted…Do I Want a Third Baby? Yes, those are hotel room doors! The girls loved having our room door open right to the waterpark. However, it was pretty noisy. The noise really didn’t bother them anyway; they were so tired from swimming that they fell right to sleep that night.